February is an important month which begins with the influence of the just concluded Lunar Eclipse. We also have a Solar Eclipse this month which will have a definitive impact on humanity. It will influence changes both at the individual and at the global level. There will be changes in the political system and at various levels of administration. At the individual level the energies will influence changes in our behaviour patterns. Special energies relating to the ancestors of the individuals will also be released during the Solar Eclipse. This is important as they help in healing many aspects and issues relating to our ancestors. The Rishis emphasize that meditating during this eclipse will especially be beneficial to those who have lost their parents or close relatives. We also observe Shivaratri this month. 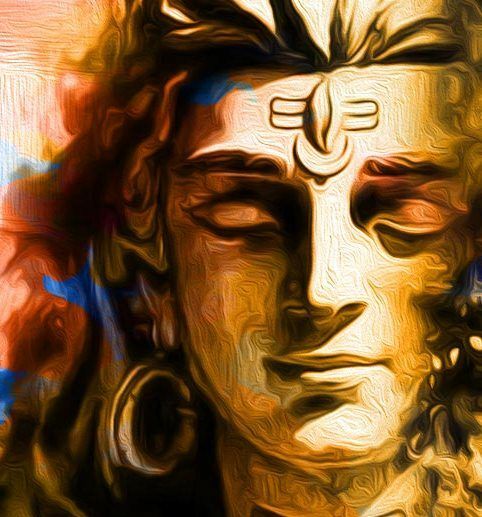 On that day, Lord Shiva and the Rishis will be releasing many new energies and various works will be carried out. The Rishis who were present during Shunya Masa have stored various energies on the Earth. Some of these energies will be released this month. From the beginning of the month, energies that aid Self-Introspection will be made available. Let us be open and connect mentally to these to receive them. These energies and Light will help and guide as much as possible. Other important energies will be released during ShivaRatri and the Solar Eclipse. Maharshi Amara will also be releasing a lot of energies from Andromeda Galaxy. As mentioned in the precious month’s article, this phase is a Mirror-period. Life reflects our inner nature. Many things can be understood about ourselves by observing life outside. We have to organize ourselves and prioritize, and regularize with our practices. When we practice and implement can we see effective changes. Rishis are also giving a technique to deal with Pralaya. This will help us connect to the Light and energies and also the help and guidance available. We can request the Pralaya period itself for assistance and it will ease our journey. Duration – 15 minutes to 45 minutes. Begin with 7 round of Pranayama with bright-Golden Light. Then pray to the Pralaya period for help, guidance. Be open and have patience to receive. Then imagine light-Violetish Blue Light coming from the Pralaya Period and allow it to fill your completely. Experience it for some time. Then extend the same Light to your Life. Let the Light and energies guide you and help you understand as well as make your life more meaningful and beautiful. Keep experiencing. Then extend the Light to your life events, difficult situation you are facing, to the inner blocks and finally to your life experiences– past, present and future. Keep passing the Light in such a way that all these shine and radiate with the Light and are getting guides by the Pralaya Period. Keep repeating “Om” silently throughout. We celebrate the birth anniversary of Maharshi Amara on this day. Maharshi Amara is a very calm, composed and silent person by nature and his patience and humility are beyond compare. His work and actions are quite different though. He is a very hard working and persistent personality. There are many missions where the results do not manifest but he never loses heart. He always gets back with more zeal and works harder. These are qualities that we can learn from and connect to through his energies. Maharshi Amara will also be releasing some of his Light and energies and a lot of unconditional love on this day. We can easily connect to them through Meditation. He will also be bringing many special energies from Andromeda Galaxy and anchoring them on our Earth. These energies will enhance and balance the processes of Pralaya. The energies will also help in reducing the suffering and chaos and enhance humanity’s capacity to understand about the present period. Begin with 7 rounds of Pranayama with Green Light. Then, express your love and gratitude to Maharshi Amara. You can also spend some time communicating with him. Then with patience and gratitude, absorb the special energies from Maharshi Amara. Imagine Fluorescent Greenish Violet Light coming from Maharshi Amara and allow it fill you slowly and thoroughly. Imagine the Light to shine and radiate in you brightly and keep experiencing this throughout the Meditation. Repeat the mantra “Om Amaraya, Namrata Shaktiyai Namaha” silently. We shall have the presence of Lord Shiva on this day. This auspicious occasion is arriving at an apt and much required period. Lord Shiva will be bringing many important energies relating to the Pralaya period for which the Rishis have been preparing for a long time. Vasishtha Maharshi and other Rishis will also be working in many special projects along with Lord Shiva. Lord Shiva will also be working on various projects relating to our Earth including the rotation, energies and frequencies. He will also work on the energy grids and increase the intensity of the energies. This year, Lord Shiva will on the Earth for a shorter duration only but that period will be vibrant with his energies. And on the 15th, our Earth will definitely undergo a shift in its transition and many of the earmarked projects will slowly start manifesting. We can practice the following technique on the 13th and till the afternoon of the 14th Feb. If interested, you can practice the technique throughout the night of the 13th as well. Begin with 7 rounds of Pranayama with Blue Light. Then offer your love, Light, respects and gratitude to Lord Shiva. You can place your prayers, concerns and wishes to Him as well. Be patient to listen to the answers. Then imagine dark-Blue Light coming from Lord Shiva and allow it to fill your body completely and keep experiencing he Light within you throughout the Meditation. Keep repeating “Om Namaha Shivaya” silently throughout the meditation. The duration of the eclipse is between 18:55 to 22:47 UT/GMT on the 15th. This is an important eclipse and it contains all the important and much required energies of this period. Many special energies will be anchored by the Rishis during the eclipse too. This eclipse also builds a platform for many important projects ahead. So take this opportunity seriously. The eclipse will contain energies relating to individual’s ancestors, life events, and future factors. It also will influence humanity at large. Many individual will be benefited and some will face the intense effects too. The Rishis will also be releasing specks of White Light throughout the Earth. These specks will be dense and intense and will carry energies and information of the upcoming events. These will present more in the areas where there are wars and trouble. With patience and perseverance, we can connect to these specks and access the information. The Solar Eclipse also carries the importance and principles of Love and Peace. It will try to help individuals to overcome their hatred and anger and the war mongering. Begin with 7 rounds of Pranayama with bright-Green Light. Then pray to your ancestors and the eclipse energies for their blessings and guidance. Pray to the Rishis for a proper and efficient meditation. Then imagine Violetish-Blue Light coming from above and allow it to fill your whole physical body completely. Experience for some time. Then connect to ancestors with Love and imagine dark-Green Light coming from them and filling your physical body. Experience for some time. Then connect to the Solar Eclipse and imagine bright-Orange Light coming from the eclipse and filling your physical body and experience it for some time. Then keep experiencing all the three energies in your body throughout the entire meditation. Keep repeating the mantra “Om Grahana Mangalayai, Pitru Shaktiyai Namaha” silently.